Apart from the conflation of commercial data protection and privacy, the right to privacy bill has ill-informed and poorly drafted provisions to regulate surveillance. The article was published in the Hoot on May 20, 2014. 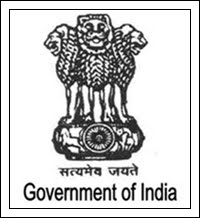 In October 2010, the Department of Personnel and Training ("DOPT") of the Ministry of Personnel, Public Grievances and Pensions released an ‘Approach Paper’ towards drafting a privacy law for India. The Approach Paper claims to be prepared by a leading Indian corporate law firm that, to the best of my knowledge, has almost no experience of criminal procedure or constitutional law. The Approach Paper resulted in the drafting of a Right to Privacy Bill, 2011 ("DOPT Bill") which, although it has suffered several leaks, has neither been published for public feedback nor sent to the Cabinet for political clearance prior to introduction in Parliament. The first article in this two-part series broadly examined the many legal facets of privacy. Notions of privacy have long informed law in common law countries and have been statutorily codified to protect bodily privacy, territorial or spatial privacy, locational privacy, and so on. These fields continue to evolve and advance; for instance, the legal imperative to protect intimate body privacy from violation has now expanded to include biometric information, and the protection given to the content of personal communications that developed over the course of the twentieth century is now expanding to encompass metadata and other ‘information about information’. The Approach Paper suffers from several serious flaws, the largest of which is its conflation of commercial data protection and privacy. It ignores the diversity of privacy law and jurisprudence in the common law, instead concerning itself wholly with commercial data protection. This creates a false equivalency, albeit not one that cannot be rectified by re-naming the endeavour to describe commercial data protection only. However, there are other errors. The paper claims that no right of action exists for privacy breaches between citizens inter se. This is false, the civil wrongs of nuisance, interference with enjoyment, invasion of privacy, and other similar torts and actionable claims operate to redress privacy violations. In fact, in the case of Ratan Tata v. Union of India that is currently being heard by the Supreme Court of India, at least two parties are arguing that privacy is already adequately protected by civil law. Further, the criminal offences of nuisance and defamation, amongst others, and the recently introduced crimes of stalking and voyeurism, all create rights of action for privacy violations. These measures are incomplete, – this is not contested, the premise of these articles is the need for better privacy protection law – but denying their existence is not useful. The shortcomings of the Approach Paper are reflected in the draft legislation it resulted in. A major concern with the DOPT Bill is its amateur treatment of surveillance and interception of communications. This is inevitable for the Approach Paper does not consider this area at all although there is sustained and critical global and national attention to the issues that attend surveillance and communications privacy. For an effort to propose privacy law, this lapse is quite astonishing. The Approach Paper does not even examine if Parliament is competent to regulate surveillance, although the DOPT Bill wades into this contested turf. The case challenged the telephone interception provisions of the Maharashtra Control of Organised Crime Act, 1999 ("MCOCA"), a State law that appeared to transgress into legislative territory reserved for the Union. The Supreme Court held that Maharashtra’s interception provisions were valid and arose from powers granted to the States – that is, State Assemblies and State Governments – by Entries 1 and 2 of the State List, which deal with “public order” and “police” respectively. This cleared the way for several States to frame their own communications interception regimes in addition to Parliament’s existing laws. The question of what happens when the two regimes clash has not been answered yet. India’s federal scheme anticipates competing inconsistencies between Union and State laws, but only when these laws derive from the Concurrent List which shares legislative power. In such an event, the ‘doctrine of repugnancy’ privileges the Union law and strikes down the State law to the extent of the inconsistency. In competitions between Union and State laws that do not arise from the Concurrent List but instead from the mutually exclusive Union and State Lists, the ‘doctrine of pith and substance’ tests the core substance of the law and traces it to one the two Lists. Hence, in a conflict, a Union law the substance of which was traceable to an entry in the State List would be struck down, and vice versa. However, the doctrine permits incidental interferences that are not substantive. For example, as in a landmark 1946 case, a State law validly regulating moneylenders may incidentally deal with promissory notes, a Union field, since the interference is not substantive. Since surveillance is a police activity, and since “police” is a State subject, care must be taken by a Union surveillance law to remain on the pale of constitutionality by only incidentally affecting police procedure. Conversely, State surveillance laws were required to stay clear of the Union’s exclusive interception power until Bharat Shah’s case dissolved this distinction without answering the many questions it threw up. Apart from the important questions regarding legislative competence and constitutionality, the DOPT Bill proposed weak, ill-informed, and poorly drafted provisions to regulate surveillance and interceptions. It serves no purpose to further scrutinise the 2011 DOPT Bill. Instead, at this point, it may be constructive to set out the broad contours of a good interceptions regulation regime. Some clarity on the concepts: intercepting communications means capturing the content and metadata of oral and written communications, including letters, couriers, telephone calls, facsimiles, SMSs, internet telephony, wireless broadcasts, emails, and so on. It does not include activities such visual capturing of images, location tracking or physical surveillance; these are separate aspects of surveillance, of which interception of communications is a part. The Indian system derives from outdated United Kingdom law that also enables executive authorities to order interceptions. But, the UK has constantly revisited and revised its interception regime; its present avatar is governed by the Regulation of Investigatory Powers Act, 2000 ("RIPA") which creates a significant oversight mechanism headed by an independent commissioner, who monitors interceptions and whose reports are tabled in Parliament, and quasi-judicially scrutinised by a tribunal comprised of judges and senior independent lawyers, which hears public complaints, cancels interceptions, and awards monetary compensation. Put together, even though the current UK interceptions system is executively sanctioned, it is balanced by independent and transparent quasi-judicial authorities. Secondly, no interceptions should be sanctioned but upon ‘probable cause’. Simply described, probable cause is the standard that convinces a reasonable person of the existence of criminality necessary to warrant interception. Probable case is an American doctrine that flows from the US Constitution’s Fourth Amendment that protects the rights of people to be secure in places in which they have a reasonable expectation of privacy. There is no equivalent standard in UK law, except perhaps the common law test of reasonability that attaches to all government action that abridges individual freedoms. If a coherent ‘reasonable suspicion’ test could be coalesced from the common law, I think it would fall short of the strictness that the probable cause doctrine imposes on the executive. Therefore, the probable cause requirement is stronger than ordinary constraint of reasonability but weaker than the standard of reasonable doubt beyond which courts may convict. In this spectrum of acceptable standards, India’s current law in section 5(2) of the Indian Telegraph Act, 1885 is the weakest for it permits interceptions merely “on the occurrence of any public emergency or in the interest of public safety”, which determination is left to the “satisfaction” of a bureaucrat. And, under Rule 419A(2) of the Telegraph Rules, the only imposition on the bureaucrat when exercising this satisfaction is that the order “contain reasons” for the interception. Thirdly, all interceptions should be warranted. This point refers not to the necessity or otherwise of the interception, but to the framework within which it should be conducted. Warrants should clearly specify the name and clear identity of the person whose communications are sought to be intercepted. The target person’s identity should be linked to the specific means of communication upon which the suspected criminal conversations take place. Therefore, if the warrant lists one person’s name but another person’s telephone number – which, because of the general ineptness of many police forces, is not uncommon – the warrant should be rejected and the interception cancelled. And, by extension, the specific telephone number, or email account, should be specified. A warrant against a person called Rahul Kumar, for instance, cannot be executed against all Rahul Kumars in the vicinity, nor also against all the telephones that the one specific Rahul Kumar uses, but only against the one specific telephone number that is used by the one specific Rahul Kumar. Warrants should also specify the duration of the interception, the officer responsible for its conduct and thereby liable for its abuse, and other safeguards. Some of these concerns were addressed in 2007 when the Telegraph Rules were amended, but not all. A law that fails to substantially meet the standards of these principles is liable, perhaps in the not too distant future, to be read down or struck down by India’s higher judiciary. But, besides the threat of judicial review, a democratic polity must protect the freedoms and diversity of its citizens by holding itself to the highest standards of the rule of law, where the law is just.